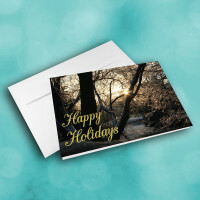 This artistic holiday greeting card is a creative way to spread some holiday warmth. 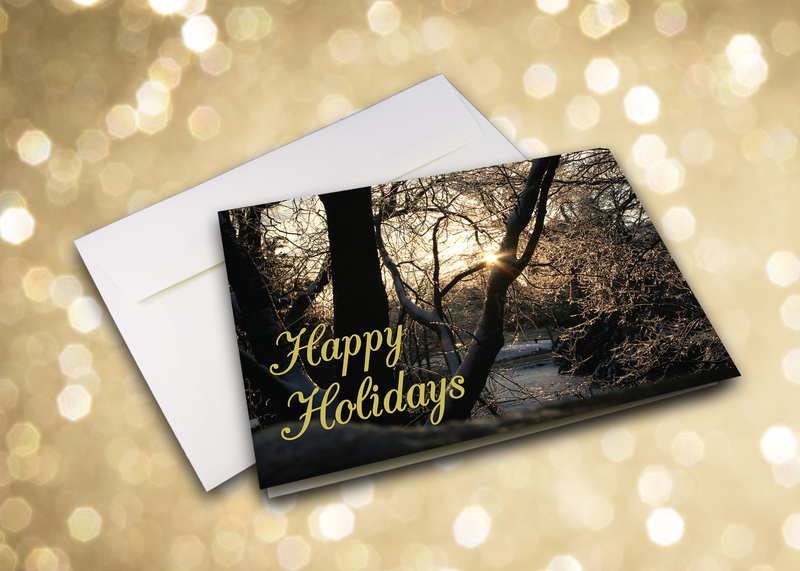 Send a unique holiday card and dazzle those who recieve it. 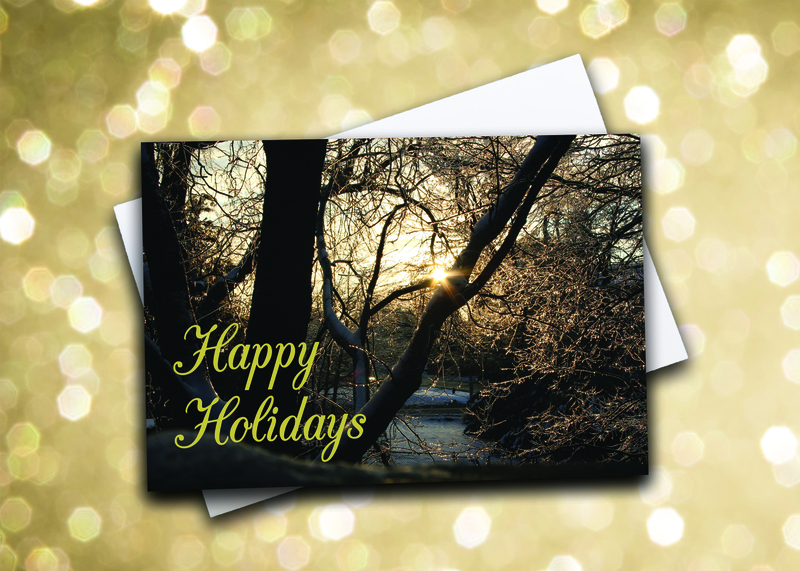 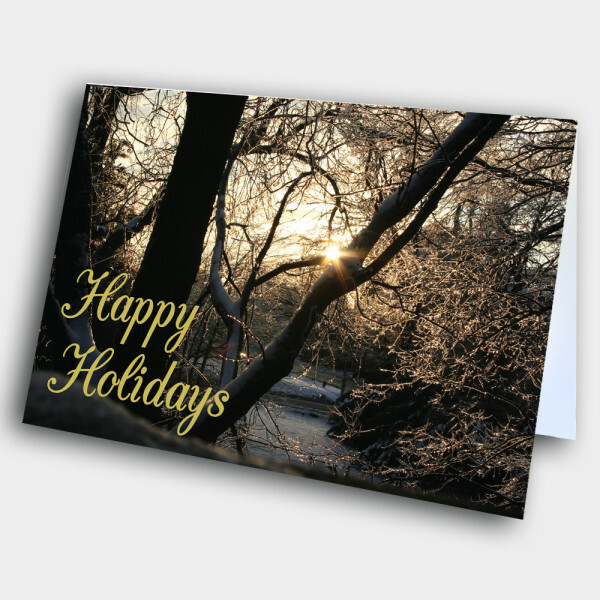 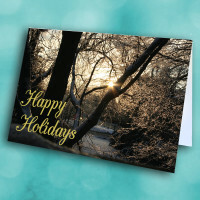 The artsy photograph decorating the front features a wintry sun shining through snowy trees, with the holiday greeting penned along the bottom. 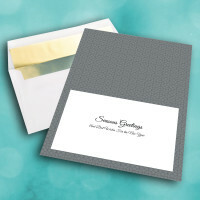 The slate-grey interior is adorned with a geometric pattern, as well as a simple message. 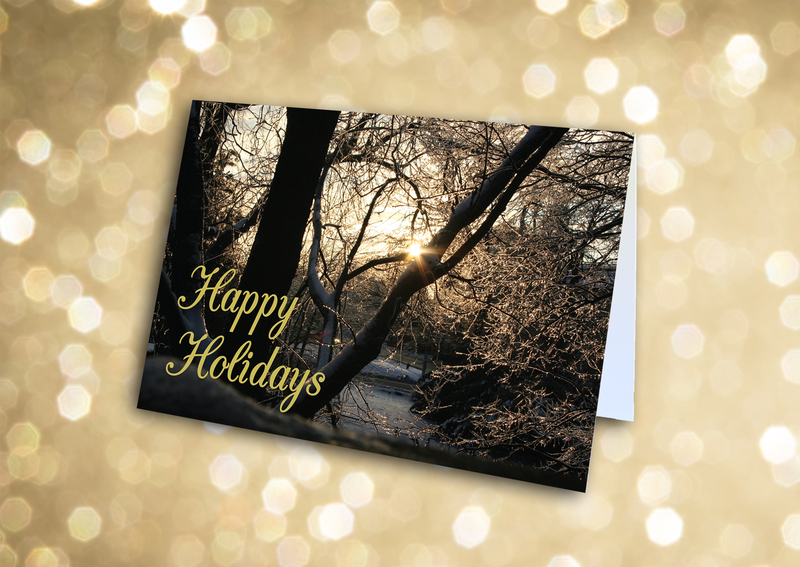 Customize this message to make this a personalized holiday card.